About: Open Age is a charity operating primarily in the Royal Borough of Kensington and Chelsea (RBKC), Westminster, and Hammersmith and Fulham to create chances for older Londoners to work, learn, take part and stay healthy in body and mind. The project provides almost 400 weekly activities across community venues and its own activity centres and hubs. In addition to the huge range of creative and performing arts opportunities, computer and iPad classes, dance and physical activity sessions, social groups, lunch groups and trips, Open Age also provide facilitated phone activities for those who are housebound, activities for carers and special daily men’s sessions. Open Age place a heavy emphasis on the provision of activity and learning, rather than social contact in itself, as they find that this creates a more attractive offer to older people. The Charity’s activities are led by the interests of older members, who are actively involved in leading the organisation. It is free to join Open Age and classes normally cost £1 an hour and are pay-per-session and drop-in. Sessions are run by independent paid tutors or volunteers. Most of the staff are outreach workers setting up the activities and trying to find those most in need by working with a variety of stakeholders. For example, in RBKC Link-up workers make home visits to older people who are referred through health professionals and others, to help break down barriers preventing participation (e.g. loss of confidence through bereavement, frailty etc.) and to support older people to attend new sessions for the first few times. Open Age has multiple funders including Local Authorities, Public Health, Clinical Commissioning Groups, Skills Funding Agency, as well as Trusts and Foundations and the Big Lottery Fund. 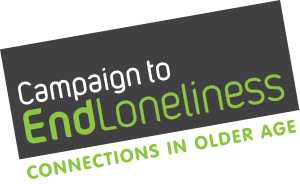 In a recent evaluation survey by the charity 85 per cent of the 1,366 members who responded said that they had made new friends and had a social life through attending Open Age.